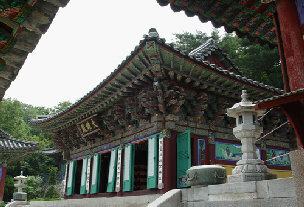 Temple Stay in South Korea is a wonderful experience! Imagine spending a day where you leave all your day to day stress and grind behind and take in the tranquility and spirituality of a Buddhist temple. You will gain a much deeper understanding of the Buddhist teachings and as a resident of the temple, you will engage in the rhythms and reality of the beautiful sanctuary. Without the rattle and clatter of the world beyond the temple walls, you can experience an ecological, life preserving approach to the way you eat, the way you think and the way you address the world around you. The peaceful haven of the serene surrounding offers a precious opportunity to evaluate yourself in the present and refocus your purpose in life. Jikjisa Temple has the Stay Program on the second Saturday of every month where they promote - Sharing, Slowness and Emptiness. Another program is offered from Friday to Sunday on the fourth weekend of every month called O-You_Ji-Jok (Be Satisfied with Whatever You Have) and is oriented towards practice. 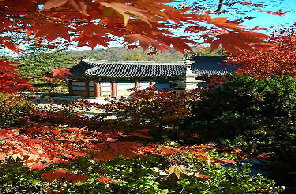 You will find that Hwagyesa Temple has a similar Program where you will mix and learn from the many International monks and nuns living and practicing there. You will meditate, mountain hike and drink tea here. Sharing in the activities and routines of a way of life preserved for over 1700 years in Korea, it is possible to take some early steps in the process of personal awakenings practiced by the monks. Give yourself over to meditation and the noble silence, enjoy the stillness of the Dado, the tea ceremony and enjoy a quiet of a walk that will lead to a new level of appreciation of your inner-self. As a cultural experience that will stay with you long after you have left the temple environment, a temple stay is a privilege and a tangible means of bringing yourself closer to the beauty of Korea and its culture.